We remove all kinds of garden waste – from foliage and green waste, to garden sheds, pots, tubs, soil, brambles, rubble, BBQs and any other garden junk. Our garden clearance service not only includes the clearance and removal of all garden waste, the price also includes loading the rubbish that you have, sweeping the site thoroughly and disposing of the waste at an authorised location. if you are happy we'll clear, load, sweep and go leaving you to enjoy your revived garden space. 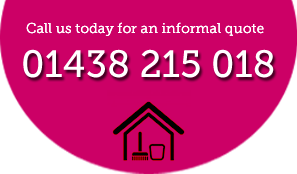 We are always prompt, courteous, helpful and we pride ourselves on giving outstanding value for money, so please do not hesitate call us today on 01438 215 018 or click here to contact us. We take pride in recycling everything we clear from homes and businesses. All our waste is taken to the appropriate waste disposal unit or recycled wherever possible.